For the 9th straight year, Cunningham | Quill was a collaborating design team for the DC Building Industries Association’s Community Improvement Day. 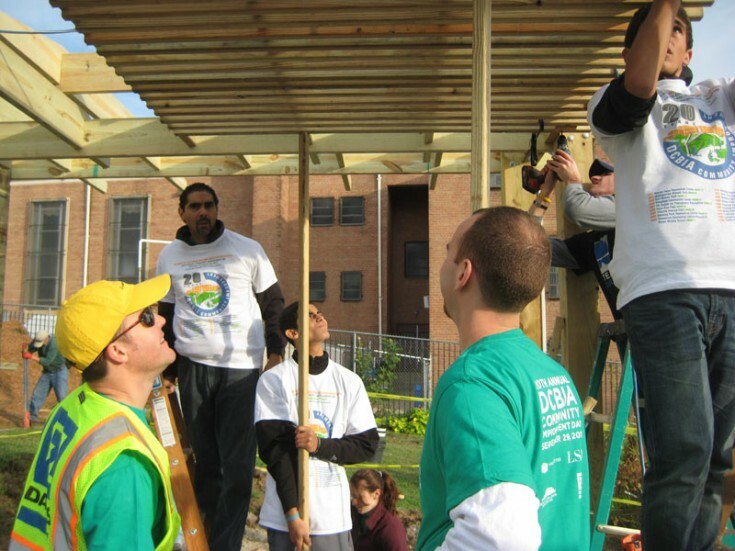 This year marked the 20th Anniversary of Community Improvement Day, and CQA volunteers designed and assisted with building structures for the Congress Heights Recreation Center. Over the last 10 months, the CQA team worked on plans for the project and finally got to do some hands-on improvements on September 29. 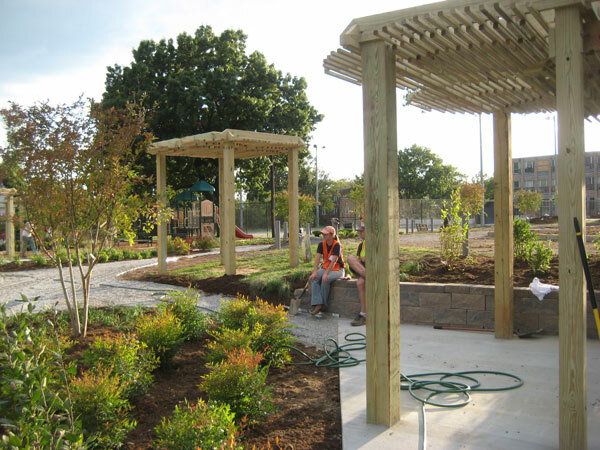 The project involved renovations to the existing recreation Center and ballfield, new landscaping, and a series of small pavilions designed by CQA Staff. CQA volunteers worked on site with members of the General Contractors Team to locate the pavilions, set posts, and construct frames. 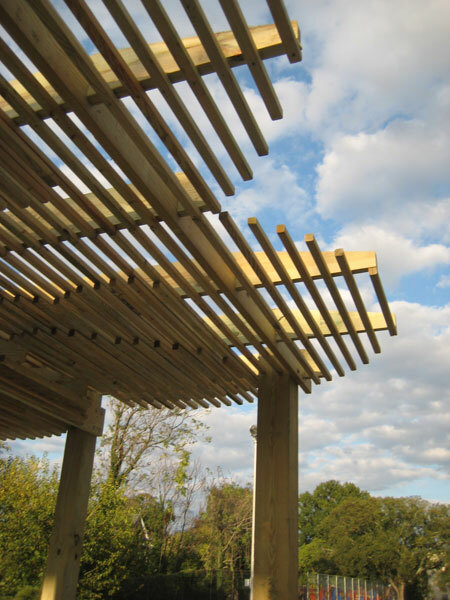 On event day, volunteers attached thousands of battens to turn the pavilions into “clouds”. Additional images are available on the DCBIA website.